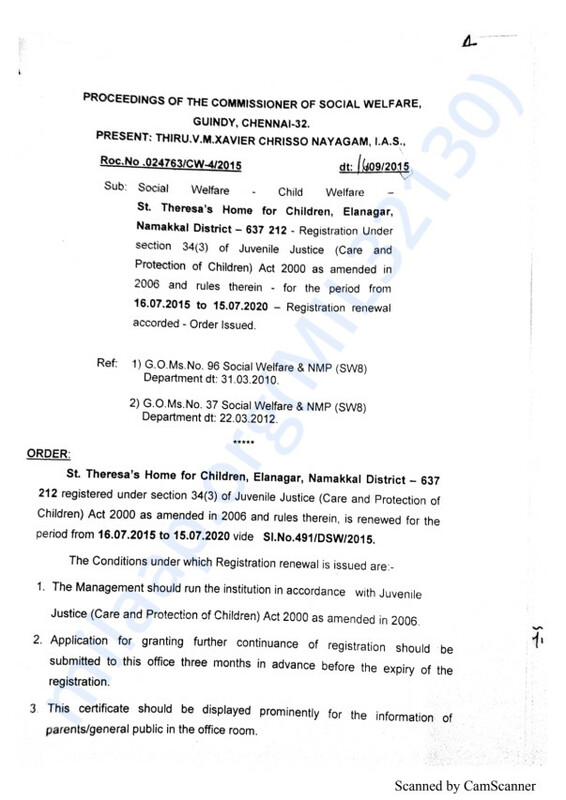 Ensuring a Happy Living through Protection, Care and Support of Orphans and Vulnerable Children Living in St. Theresa’s Orphanage Home at Elanagar Village, Namakkal District, Tamil Nadu. This orphanage was started with the purpose of providing residential care and protection to vulnerable children who are orphaned, semi orphaned, abandoned, neglected and impoverished. Currently 75 Orphan children stay in the Orphanage and continue their studies in Government Aided St. Theresa’s Middle School located at Elanagar. 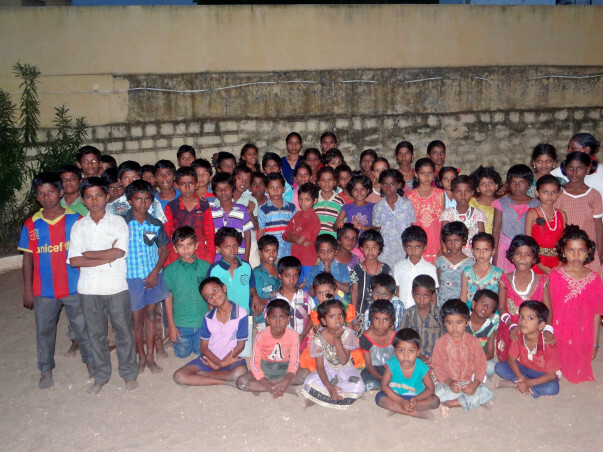 Every year over 25 children join the orphanage which happens throughout the year. The orphanage is run by generous contributions from individual donors, families, and Government. 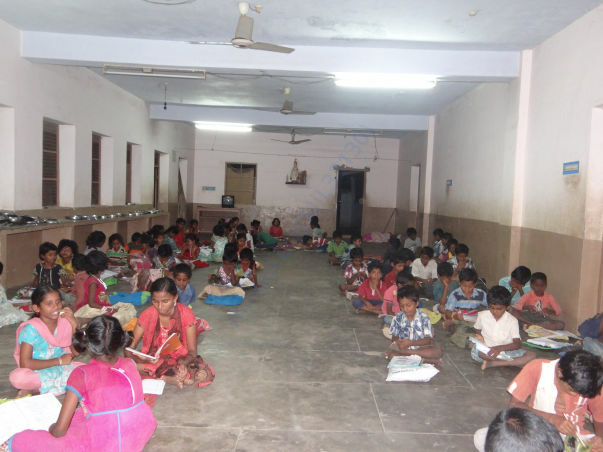 The Social Welfare Board of Tamil Nadu State supplies food rations, rice and sugar, to the Orphanage regularly as the Home has been registered with Tamil Nadu Social Welfare Board. Usually the quality of the rice is very poor. The Government food ration does not even cover 25% of the food requirement of the children in the orphanage. Therefore, the orphanage is in constant struggle to raise fund to maintain itself. Apart from food, there are other basic needs such as clothing, healthcare, beddings, study materials, play materials, furniture, etc. Since the Orphanage Home does not have stable and sustainable internal flow of funds to run the orphanage, it largely depends on external funds for its survival. The existence of the orphanage Home is very essential as without its presence many orphans and vulnerable children would be homeless and roam about on the streets begging for food. On the streets and having no one to care for, they face many challenges and threats like harassment and physical abuse, starvation, and child trafficking. Based on the discussion and reflection with Theresa’s Orphanage Management, the following three specific needs have been identified which calls for immediate attention. The fulfillment of these three felt needs, the Orphanage will be in a better position to concentrate on the personality and spiritual development of children and help them to live with dignity and freedom. The orphanage counts on the support of bighearted people, philanthropists like you to meet the needs of orphan, semi orphan, abandoned, and vulnerable children help orphaned and vulnerable children to live happier lives. Provide nutritious diet with three square meals and one-time snacks per day. Conduct regular health check-ups by qualified medical practitioners. Organize Talent expo to motivate and develop children’s talents towards their full potential. Provisions for vocational courses and crafts. Engaging a child Care Coordinator to provide care and support and counselling to the children. Create Recreational facilities; in-door and out-door play materials for the mental and physical development of children. Over 75 orphaned, semi orphaned and abandoned children assured a stable Home with care and protection, nutritious, diet, clothing and healthcare and have life changing experience. 100% of the children in the Home enrolled in regular school and ensured quality education with specialized coaching. The emotional and health conditions of over 75 children improved. 50% of the older children trained in vocational skills such as, handicrafts, farming and computer. Over 75 Children’s moral and spiritual attitude developed and effected behavioural change. 25 per of the street and abandoned children reintegrated with their biological parents or guardians. 75% of the children in the Home assured higher education through referral services to other service providers. Networking strengthened with others service providers, NGOs, Police and Government departments.